During a press conference in Ankara the Deputy Chairman of the Mejlis of the Crimean Tatar people Akhtem Chiygoz said that he was proud of his Ukrainian citizenship. “I am proud that I am a citizen of Ukraine. And the choice to be part of Ukraine and to be fully fledged citizens of Ukraine is the choice of our people," Chiygoz said. The Deputy Head of the Mejlis further noted that he would not have agreed to be released in exchange for giving up his convictions. He stated that he did not even consider it. “Any negotiations regarding my release in exchange for changing attitudes towards the leaders of the people would offend the Ukrainian and Crimean Tatar peoples. So I refused. I did not even discuss it," Chiygoz said. 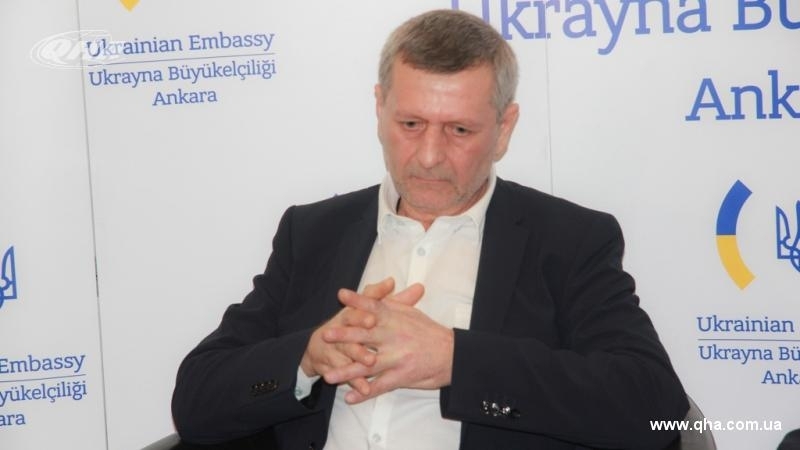 Earlier, October 25, Akhtem Chiygoz and Ilmi Umerov, previously convicted in the occupied Crimea, were transferred to Turkey. In Turkey, Chiygoz noted that the Crimean Tatar people received guarantees that the repression against the Crimean Tatars in the Crimea will not go unpunished. He also announced his desire to return to the Crimea.